Creating harmony in the home with effective communication, motivation, patience and consistency! Hello and thanks for visiting us here at Manners For Paws Dog Training. Passionate about dogs, their welfare and responsible pet ownership, our aim is to provide you with a personalised and comprehensive dog training and behaviour modification service to help you create harmony in your home. As individuals, couples and families find it increasingly difficult with their dogs behaviour and/or unable to attend regular dog training classes, our service caters to your availability, as we come to you for all your training and behaviour needs. 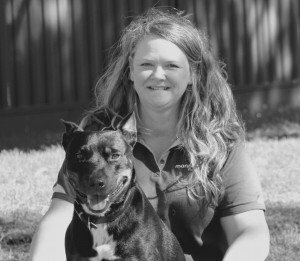 We specialise in Puppy School Training where we talk all things puppy, Adult Dog Obedience Training for dogs with little prior training or that rescue dog you’ve just adopted, Adolescent Dog Training working on impulse control and manners training and Dog Reactive dogs that typically display fear aggression as a coping mechanism for their fear. At Manners For Paws Dog Training, we use reward based training, to help the humans and paws of your family learn to communicate with each other more effectively and help you recognise what motivates your dog and in turn, provide you with the behaviours you want. Manners For Paws Dog Training will help to create and strengthen your bond through training, which will result in a better relationship between you and your dog. We are located in the Inner West of Melbourne but we service all areas of Melbourne (suburbs located more than 25kms from Altona may incur a small travel fee). For more details, please call Sharon on 0417 400 260 or contact us for a chat to secure your booking. Manners For Paws offers an In Home Behaviour Consultation service where we come to you. We can help you if your dog is displaying unwanted behaviours. Contact us and we’ll work to help you understand why your dog is exhibiting these behaviours and provide you with the necessary strategies to work through these and help and support you through any long term training. If the group training environment is not for you, Manners For Paws Dog Training offer One on One Dog and Puppy Training in your home or other location to help strengthen the bond between you and your dog or puppy and help build confidence through dog training. An initial In Home Behaviour Consultation is required to assess yours and your dogs needs prior to conducting follow up sessions. If you’re short on time to train your dog, Manners For Paws Dog Training also offer Training Walks where we work on (but not limited to) walking nicely on lead, focus work with distractions, name recognition, recalls and teaching your dog to leave things. In addition to the above services, we conduct group dog training and puppy classes at Hairy Hounds Playground in Seddon, Williamstown North and Yarraville. Throughout the year we offer specialist training sessions targeting exercises such as Reliable Recalls, Walking Nicely on Lead and Socialisation. Take a look at our Training and Fundraising Events page for further details. We also conduct basic foundation level group training classes for Four Paws K9 Training in Mount Waverley on Sunday mornings. We look forward to meeting you and your fur-family soon. Happy Training!!! 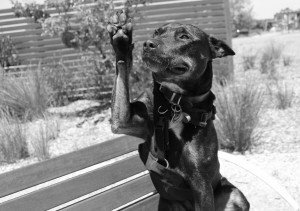 Manners For Paws services the Inner West of Melbourne and also conduct training and behaviour services across Melbourne and Victoria. To view our service area list, please select for Service Area. Gift Vouchers can be purchased for any amount to use towards any of our services. There is a minimum of $50 purchase or you can purchase an entire service (no less than $50). Refer to our services page for details. Not to be used in conjunction with any other offer. Only one voucher can be used towards a service (can’t be split across multiple services). Vouchers valid for one dog (can’t be split across multiple dogs). Bookings in advance apply and outstanding fees for any service, required in advance to confirm your booking.